Purchased at: GameStop (Sunnyvale, CA – $9)My wallet will be taking a hit for the foreseeable future. 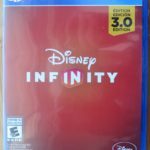 When I picked up Disney Infinity 2.0 last year, I was hopeful the series would be more than just a Skylanders rip-off, which, thankfully, it was. Having the backing of the Marvel superheroes was a huge selling point for me. And, with 3.0 utilizing the Star Wars franchise, I couldn’t pass up the opportunity to get my mitts on the title. Unfortunately there won’t be any more games or toys coming out since the series is officially cancelled, but I want to get all those Star Wars toys and play what many called the best version of the game. Purchased at: GameStop (Sunnyvale, CA – $9)This game has caught my eye many times before, but I always passed because it looked like another generic RPG. 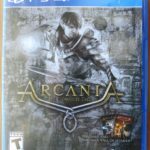 It most definitely is another generic RPG if we are to believe any reviews, but it is part of the long-standing Gothic series of games on PC. Even the screenshots on the back of the box make the game look dark, gloomy, and boring. I’m sure there’s more color to the world than that! The employee checking me out told me she liked the game only because it had so many bugs and glitches that made her want to keep playing. Purchased at: GameStop (Sunnyvale, CA – $9)All the hype around this game boiled over when it was revealed it could be fully completed in less than 6 hours. Obviously that turned a lot of gamers who paid full price for this game off, feeling like they didn’t get their money’s worth. Despite all this, the game still looked absolutely gorgeous, with some of the best visuals in any game. For just a couple bucks that I paid I think it’ll be worth it. Kind of like an interactive movie more than a game. 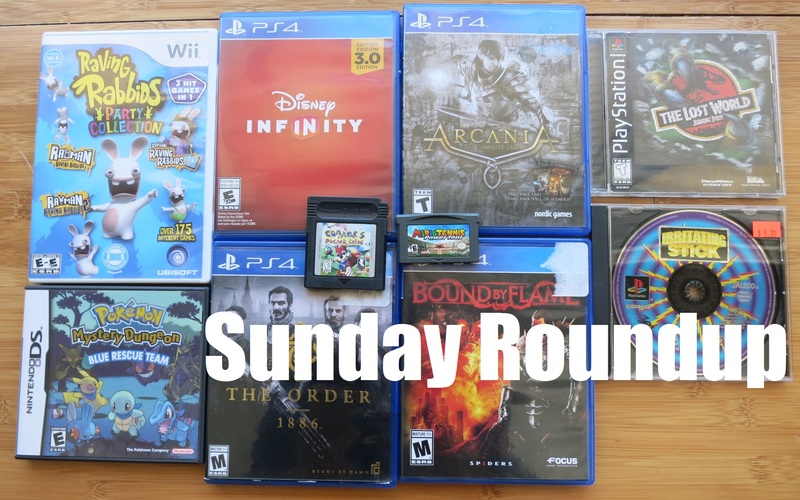 Purchased at: GameStop (Sunnyvale, CA – $9)Here’s my trash game. 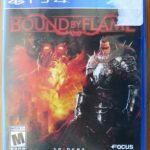 I bought Bound By Flame a few months back on the Xbox 360 as part of a similar sale and still haven’t played it. Another generic RPG. Granted, I’ll be more likely to play this on PS4 than Xbox 360, but I’m still just not feeling the game. Has anyone tried this one before? Is it worth the time and effort, or should I just wait for Skyrim Remaster? 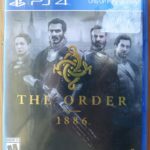 Purchased at: GameStop (Sunnyvale, CA – $9)I found this game first at a different GameStop maybe a year or two ago, and passed on it thinking it wsan’t worth the then $25 price. Since then I hadn’t seen it at all, and was kicking myself for not picking up this rather unique Raving Rabbids game. Thankfully I found it here, and for a much better price! 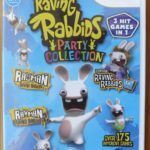 Raving Rabbids: Party Collection is a compilation game that brings together all the mini-games from Rayman Raving Rabbids, Rayman Raving Rabbids 2, and Rayman Raving Rabbids: TV Party. Sadly you have to select which game you want to play minigames from first, instead of just getting a big list of all of them, which causes more loading time to get all the games, but it’s still a cool little collection of silly Wii minigames. 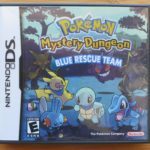 Purchased at: De Anze Flea Market (Cupertino, CA – $15)My first find at the De Anze flea market was a damn fine looking copy of Pokemon Mystery Dungeon for the DS. There are quite a few of these games released for the handheld, but I only actually have one other Pokemon Mystery Dungeon game, so I was happy to jump on this. $15 is middle of the road for the game, so I went for it. There was another booth selling a loose copy for just $10, so I think for the five extra bucks it was worth it. 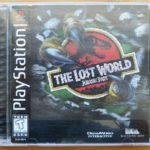 Purchased at: De Anza Flea Market (Cupertino, CA – $10)Not the most expensive game in the Jurassic Park line of titles, it is one of the few on the PlayStation. In the game you can play as a few different characters, including a couple of dinosaurs(! ), in a side scrolling style adventure. The game didn’t receive positive reviews upon release, but it was praised for it’s visuals and sound. There is a different game with the same name released for the Sega Genesis that garnered much more favorable reviews. So don’t get these two titles mistaken. Purchased at: De Anza Flea Market (Cupertino, CA – $5)Man, what a title. 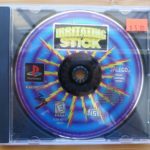 I’ve been looking for The Irritating Stick for years now, and I’ve never actually found one out in the wild. While this is a loose copy, I’m happy to finally be able to say I have the game. Interestingly enough, a couple weeks back during the California Extreme arcade and pinball expo, someone brought the arcade version of this game called Irritating Maze! This has just been a crazy couple of weeks… certainly not irritating at all! Purchased at: De Anza Flea Market (Cupertino, CA – $5)Collecting can be a tough business. You need to decide where to draw the line on what you’re collecting, otherwise you’ll just end up buying all kinds of games for all kinds of systems all willy-nilly. For me, the original Game Boy, Game Boy Color, and Game Boy Advance are systems I only collect known titles for. 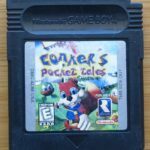 So for example Conker’s Pocket Tales here. For just five bucks I couldn’t say no to having this adorable squirrel in my collection. Note, too, this is game that came out before he would go all vulgar in Conker’s Bad Fur Day, which, sadly, I don’t own either. Purchased at: De Anza Flea Market (Cupertino, CA – $5)Another solid pickup for just five bucks! 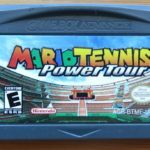 Mario Tennis: Power Tour puts me one step closer to completing the sub-series: all that’s missing is the Wii re-release and the original Virtual Boy game. Anyway, Power Tour allows you to upgrade your characters by improving their stats and special shots, not unlike the Virtua Tennis series from Sega. While I don’t think comparing those two titles appropriate, the base concepts are the same. I really with Nintendo would put more of this kind of gameplay into the console versions of their sports games. Ultra Smash on the Wii U was an awful game. The gameplay itself was fine, but in terms of what you could do and how much fun it was, that game lacks in comparison to this one that came out 10 years earlier! I said at the beginning that I found a sweet deal on Skylanders toys, and boy did I ever! Someone at the flea market was selling loose figures for $1 or $2 a piece, and among them was a ton of the expansion toys for Spyro’s Adventure, Swap Force, and Trap Team. Though these are great finds in and of themselves, the best was the light and dark expansion levels for Trap Team. Those regularly resell for around $20 each! Also, for $2 I found the stone variant of Whirlwhind from Giants: the figure goes for around $40-$50 online! Oh man, that made my day! I just wish he had the traps! Previous PostWhat Will the Future of Pokemon Go Look Like? Next PostWhat Exactly is Going on in No Man’s Sky?